Weather balloons are launched routinely from approximately 800 observatories around the world, generally twice daily, at 2300UTC and 1100UTC. 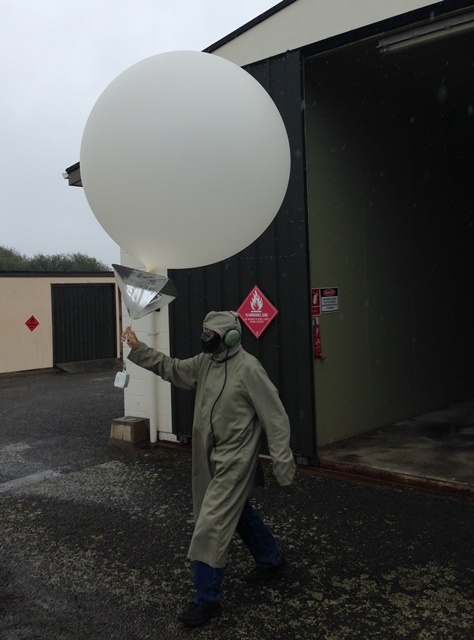 Some stations, like our own on Raoul Island, may only do one balloon flight a day at 2300 UTC, while others may do extra supplementary releases when special meteorological conditions warrant it. 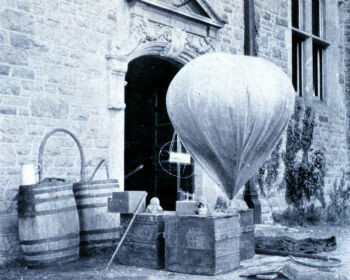 Because the release times are standardised, the data obtained from the weather balloons can be used as input for meteorological computer modelling on a global scale. The four New Zealand upper air observatories at Raoul Island, Whenuapai, Paraparaumu and Invercargill are run by contractors for MetService and provide valuable data which is not only used directly by our own forecasters, but also contributes to the global picture as we send it out to the world, via the Global Telecommunications System (GTS). The balloons themselves consist of a compound of latex and chloroprene (synthetic latex). 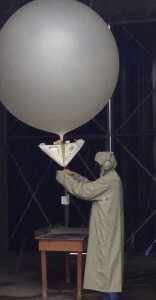 At release, a 350gm weather balloon is inflated with hydrogen, to approximately 1m in diameter with a lifting capacity of 1.1kg. As the balloon ascends, the surrounding atmospheric pressure decreases causing the balloon to increase in size until it bursts. Although hydrogen is explosive, strict procedures are followed, and every possible step is taken to ensure the safety of the observers who are working with this gas. 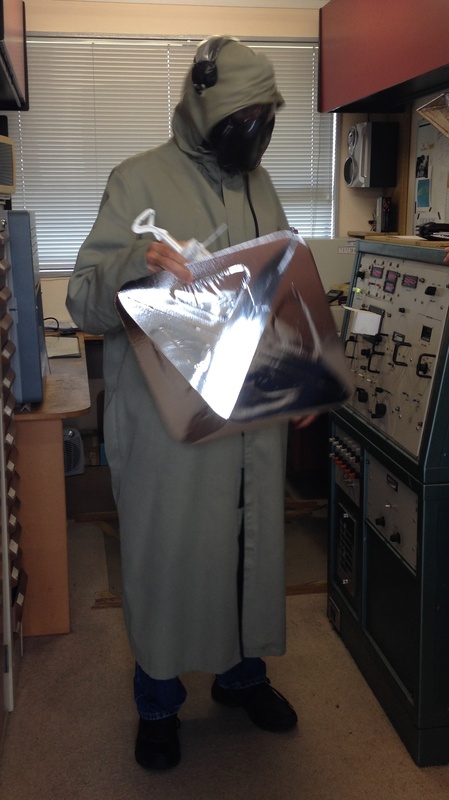 Contractor with radiosonde, reflector and tracking radar unit. Contractor fits reflector and radiosonde to inflated balloon. Ready to release the balloon. 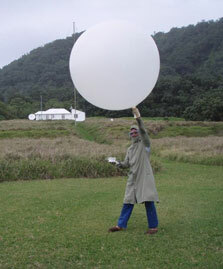 Over the years, MetService has used several different methods to track weather balloons. At small observatories balloons were visually tracked, using theodolites. These only allowed for the calculation of wind data and were restricted by how low the cloud base was. The larger Upper Air Observatories use radar to track the balloons. To do this, a silver foil target is attached below the balloon to reflect the radar’s signal. Radars made tracking the balloons possible on cloudy days, but would still tend to lose their target when the balloon passed through areas of heavy rain or when the balloon was carried beyond the range of the radar by strong upper level winds Meteorological balloons usually carry a small transmitting payload, called a radiosonde. This instrument has sensors which measure atmospheric pressure, temperature and humidity throughout the flight. Today’s radiosondes utilise the Global Positioning System (GPS) to calculate wind speed and direction, doing away with the need for radar, and even derive atmospheric pressure from GPS altitude as the balloon ascends. Weather balloons released in New Zealand often reach heights of 70,000ft but have been known to get to 107,000ft under favourable conditions. Technology is forever advancing and the day will come when weather balloons become obsolete. There are currently other methods of retrieving the same data we get from weather balloons. Wind Profilers use radar or sound waves (SODAR) to detect wind speed and direction at various altitudes. MetService calculates upper wind profile data from its Doppler weather radars, but only when there are sufficient rain echoes to reflect the radar beam. Satellites are currently capable of creating temperature profiles of the atmosphere using infrared sensors. However, weather balloons remain an important component of the global upper air observation network. What happens when the balloon bursts? The balloon itself disintegrates and the lightweight radiosonde floats gently back to Earth. New Zealand being a long skinny country, with the prevailing wind from the west, most land out at sea. Are weather balloons a hazard to aviation? No. The balloons along with their radiosonde and radar target attachments are extremely light and frangible and, in the extremely unlikely event of an aircraft striking a balloon, it would not damage the aircraft. MetService balloon observatory sites and balloon release times are listed in official aviation information publications. How big are the balloons when they burst? About 5 meters in diameter at the time they burst. When you used to track the balloons at night using a theodolite, how could you see them? We used smaller 60gm balloons and tied a small candle lantern under them. This worked well most of the time, but after a very dry period in Nelson one year, the observer watched his balloon as it descended prematurely and set fire to some dry grass. He rang the local fire department who attended to the situation. How long does a balloon flight take? Between 60 and 90 minutes on average.